So, we all watch some form of television, whether you use cable, DVR, a streaming service, or something which has not so legal means… But either way these options cost money and often have their limitations. Cable can be quite expensive paying for your packages and your standard TV license, and its often that you get given content you’ll never look at or need. A DVR is only as useful as its amount of storage and also, still has adverts. A streaming service is the sweet spot though, there are many companies out there offering the ‘best on-demand’ streaming service, with a mixture of prices and exclusives, the key contenders here are Netflix, Hulu and Amazon Prime Video. There are many alternatives you can use and pay for, but do any truly justify the cost and the usability? That is where the Roku 2 comes in. The device that gives you a reason to save money on not buying a Smart TV, to stop paying those silly costs for the use of standard channels and to also get content on your TV that you didn’t know was possible. So what exactly is the Roku 2 and who is it truly for? Catch-up with all your TV shows that you missed. View content that you purchased else where straight onto your TV. Use your monthly streaming subscriptions on your TV like; Spotify, Netflix and Amazon Instant. Stream from any device connected to your network. There are applications for anyone and everyone. You can even find applications that you didn’t even know you could live without. The Roku 2 was re-released earlier this year, with upgraded specs to match the Roku 3, the only differences in between the 2 and 3 now is the remote control. But in my opinion, the new remote in the Roku 3 is fairly gimmicky, I will talk about the remote later on in the review. The Roku 2 when first plugged in and powered up is very easy to set up. requiring you to connect to the Wi-Fi and setting up your account. Then to confirm authenticity and to increase security, it asks to connect to your local system by using a generated code. Once entered you can finish set up and choose any particular apps, In my case I used Netflix, but there are many others to select and test, in the Roku store. An issue I found with set up was the amount of time it takes to use the systems keyboard with the controller. But that’s just being impatient. 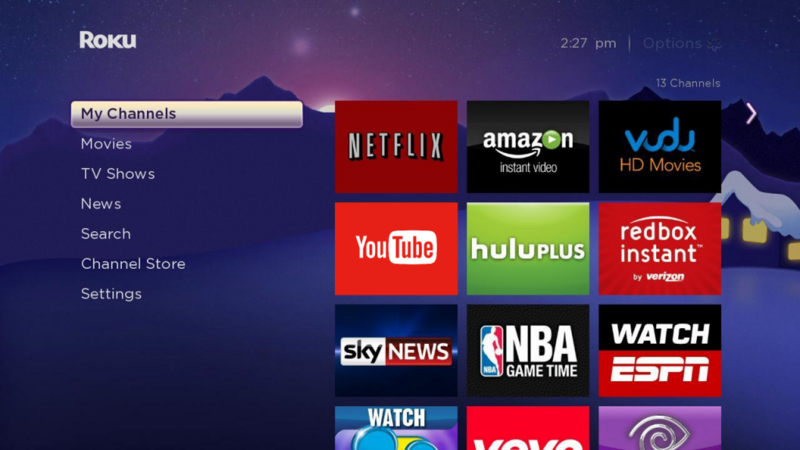 Going into the Home screen of the Roku, you are presented with your list of Apps, settings and list of Apps you can download. the use of the directional pad is easy and simple to use with a select button in the center, with Netflix, it is a pay monthly subscription, so you can choose to sign up there and then or on your computer, which is quicker. but if you already have an account, here’s the time to use that annoying keyboard once again. Entering any app is just as quick as your ISP speed. In this case very fast, you can go into an app, and view exactly what you were the previous day in about 5 seconds, this can also be accomplished by using one of the 4 preset buttons on the remote, these being Rdio, Netflix, YouTube and Google Play, sadly you cannot customize these to your own tailored apps, another thing is in this new version of the Roku, I expected the remote and software to be updated so you could control TV setting with the remote, like volume and power. But we can only hope that the next version will bring that upgrade. The Google Play app is just Google Movies, so you can buy or rent movies at a fairly cheap price, but always check if they are available on your chosen streaming application, just to save them pennies. What I found odd, was I had no idea how to turn the Roku off without turning it off at the plug, there is no power button on the remote or the Roku itself. So you’re looking getting a streaming kit but don’t know which is best. 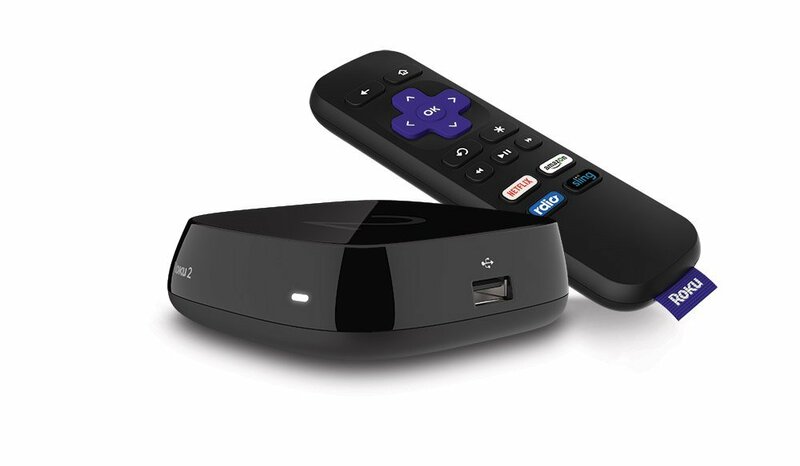 Roku 2 offers the full kit, of local storage, a remote control and Network sharing. A side note, make sure you have a HDMI to hand when you buy the Roku, as there isn’t one in the box. If you have a Smart TV which comes with 15 applications built in, which you already use every day, I would not recommend it. The Remote control adds additional confusion to your remote collection, as its is only useful for the Roku and nothing else. The UI is incredibly simple, and even your Grandparents could pick it up. There are over 1400 ‘Channels’ (Some free to use, some PAYG/Monthly). If you hate the Remote, just get the mobile app.